A Boca Raton woman was arrested for threatening to conduct a mass shooting at a recent memorial service for slain PBSO K9 officer Cigo. PALM BEACH COUNTY, Fla. -- A Boca Raton woman was arrested for threatening to conduct a mass shooting at a recent memorial service for slain PBSO K9 officer Cigo. 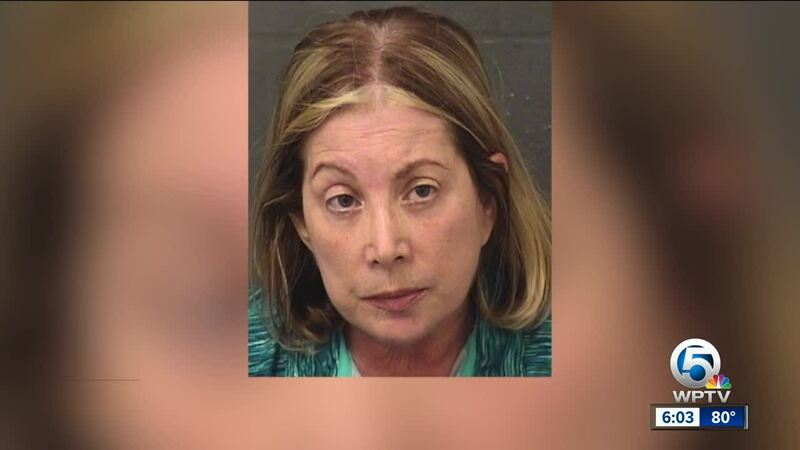 Deputies arrested 66-year-old Jill Hoffman after she posted over 100 comments on the Palm Beach County Sheriff's Office (PBSO) Facebook page, many of them aggressive and threatening. On December 24, 2018, the Sheriff's Office announced the passing of K9 Cigo, who was killed in the line of duty while attempting to apprehend a wanted fugitive. Following the posting, an individual assuming the identity of "Michael R Reed" on Facebook began making comments that were aggressive in nature and blaming the death of the police canine on members of the Palm Beach County Sheriff's Office. Deputies say over 100 comments were made by "Michael R Reed" to the Sheriff's Office, most of which were negative, accusatory, and filled with name calling. Regarding a post where the Sheriff's Office announced active shooter training for civilians, "I hope all of you are the first to be shot!!" "Your post 'thank you for your support during this extremely difficult time' makes me want to spit in all your faces and rip those badges off your chests." Regarding a post where a Sheriff's Office deputy built a North Pole mailbox for children, "How about building yourselves coffins and jumping in them. You're doing to need them." "I swear if I see one more story about this on the news or elsewhere you'll be seeing MY story splashed across every news outlet in the country. I think you know me well enough to know when I am determined to do something it gets done." After the Sheriff's Office announced the memorial service location, "Great venue for a mass shooting. You don't have the sense you were born with." PBSO investigators were able to determine that the moniker "Michael R Reed" was Jill Hoffman. The URL for the "Michael R Reed" profile is https://www.facebook.com/jill.hoffman.1466. A PBSO Sergeant made contact with direct family members of Hoffman, who confirmed that she uses that screen name. They said they were aware of threatening comments posted by Hoffman under the Facebook moniker "Michael R Reed" and saw them prior to being contacted by law enforcement. Hoffman was located on Saturday and taken into custody. She was charged with making written threats to kill or conduct a mass shooting, which is a felony.